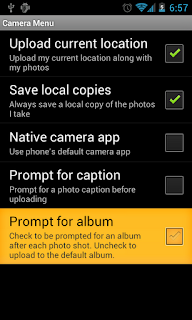 The Prompt for album option is now available for the embedded Camera also. 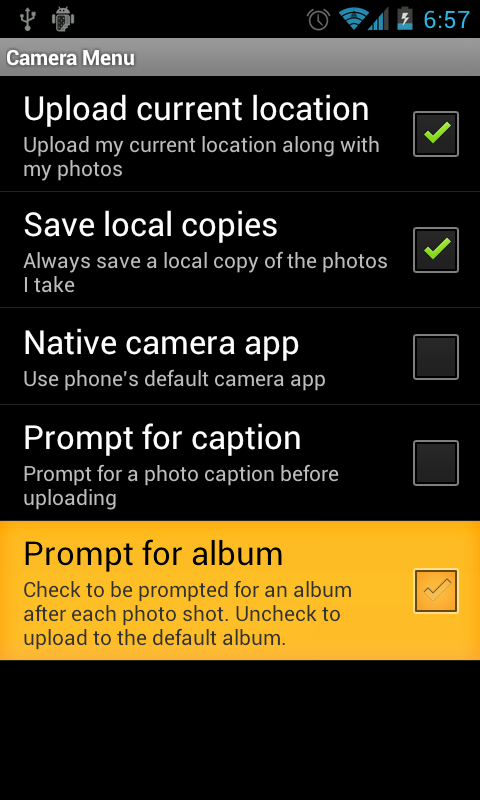 You can enable this option from Settings -> Camera Menu -> Prompt for album. All the album prompts follow the album sorting order specified in the Album selector view. Alternatively, you can also set this option under Settings -> Photo Browsing -> Viewing -> Album order. A random slideshow order option has been added. 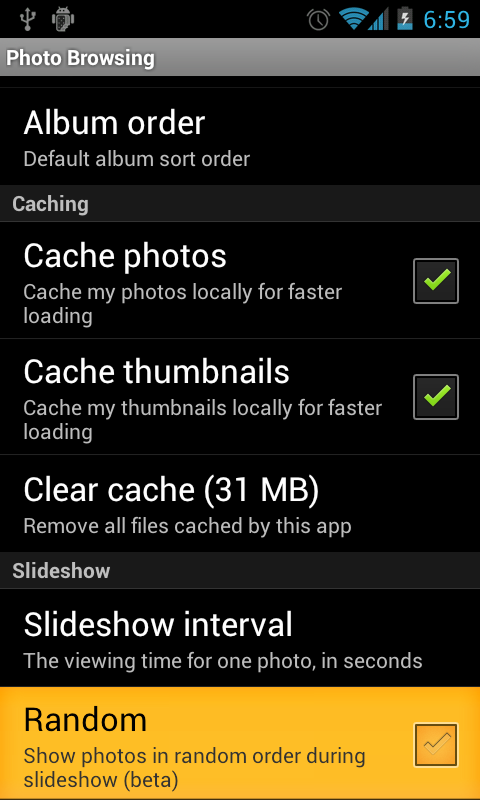 You can enable it from Settings -> Photo Browsing -> Slideshow -> Random. Declared some hardware requirements (like auto-focus, location detection) optional, in order to reach a broader array of devices. Bug fix: In previous versions, when the native camera was used and the device was rotated while typing the photo's caption, the caption prompt would disappear and the upload would get cancelled. This is now fixed. Bug fix: In previous versions, when downloading again a photo and choosing the Rename option, the renamed photo had automatically a jpg extension. This has been fixed to assign the correct extension based on the media type (ex. : PNG, GIF, etc. ).